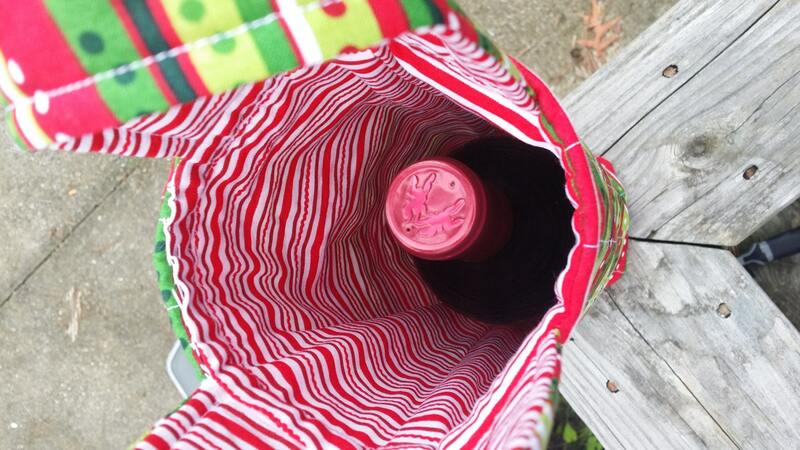 Quilted tote bag perfectly fits one bottle of your favorite wine. 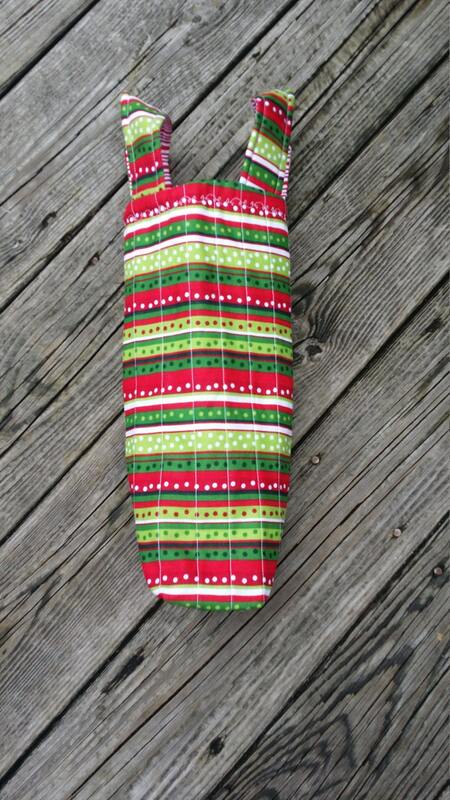 Two handles make carrying your gift/beverage a breeze. 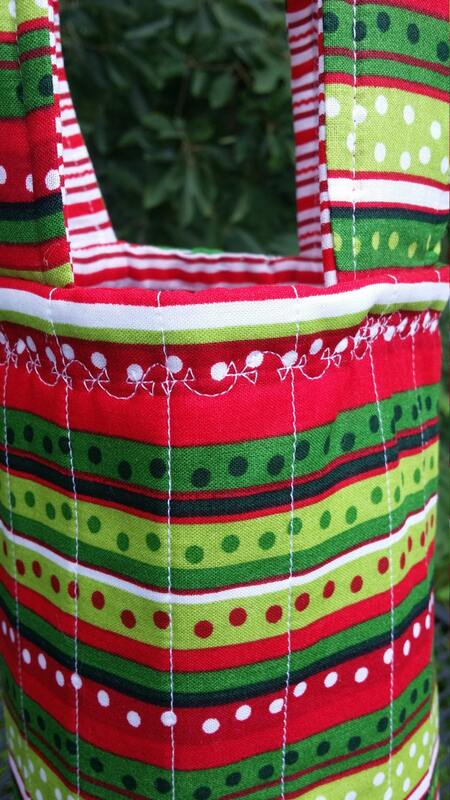 Tote is lined with red striped cotton fabric. 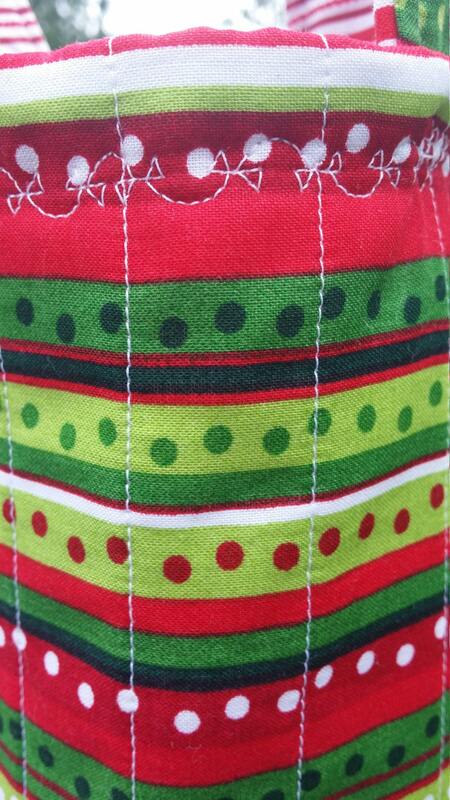 Stitched bows circle the top the of bag. 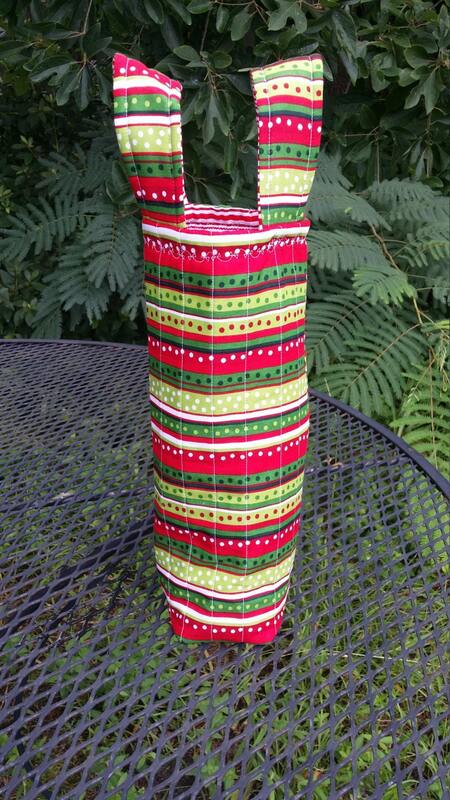 Approximately 17 inches tall from bottom to top of handles, 12.5 inches tall from bottom to top of tote. 7 inches wide. Handles are 10 inches long from one side of the bag to the other and 1.75 inches wide.